Simply put, X Wang knows how to make email marketing work. …his years of research have proven that email marketing makes up to 30% of an eCommerce store’s revenue. He has worked with small scale ecommerce stores to build marketing strategies from the ground up. X has a proven track record of generating real revenue with email strategies. His potent tactics can positively transform the way you do commerce online. And… in this episode of the McMethod Email Marketing Podcast, X Wang will share his industry secrets on becoming an email marketing ninja. how a simple reminder that it’s time to reorder can generate huge amounts of additional business. why it is CRITICAL to implement an email marketing strategy immediately if you are an eCommerce store. how optimizing your transactional emails can increase revenue considerably. how to strike the perfect balance between content marketing and being aggressive. how to catch your customers at the right time post-purchase when they are hot to buy. strategies to take the temperature of your list to determine what types of marketing strategies are best for them. how asking your customers for a product review can get them to engage considerably more in your dialogue. two and a half critical elements in your email templates that will optimize your emails for conversion. how to use re-sends and re-mails to leverage the work that you’ve already done and make it keep working for you. 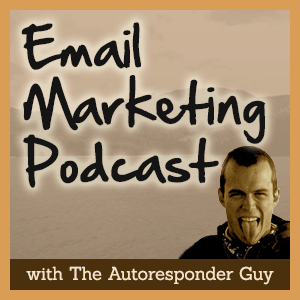 Episode 14: Ezra Firestone of Brown Box Formula on Email Marketing for eCommerce Stores. This podcast is edited and produced by Authority Engine. Learn more at AuthorityEngine.com.